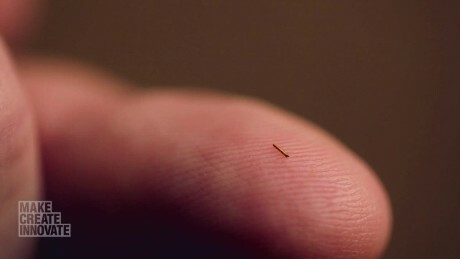 The very mention of “nanobots” can bring up a certain future paranoia in people—undetectable robots under my skin? Thanks, but no thanks. Professor Ido Bachelet of Israel’s Bar-Ilan University confirms that while tiny robots being injected into a human body to fight disease might sound like science fiction, it is in fact very real. This is where nanobots come in—rather than take out every cell in the area they’re distributed to, they’re able to recognize and interact with specific molecules. This means that new drugs don’t even need to be developed; instead, drugs that have already been proven to be effective for cancer treatment but too toxic for regular use can be used in conjunction with nanobots to control said toxicity. 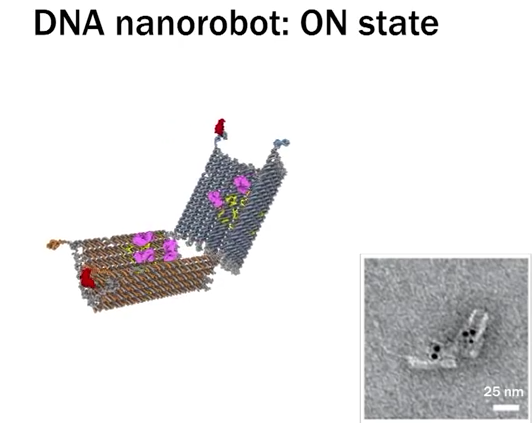 Nanobots are actually made from DNA, specifically a single strand of DNA folded into a desired shape. Bachelet’s nanobots are designed in a clamshell shape, and work as a carrier for existing cancer drugs. Think of them like a protective box. They’ve been programmed to be in two states—an “off” position, where they’re closed tightly so they can bypass healthy cells without causing any damage, and an “on” position, where the clamshell opens up to expose cancerous cells to the drug in question. Nanobots have been programmed to switch from an “off” position to an “on” position to target cancer cells while working in harmony with other cells. Nanobots can also have multiple “payloads” in them, and can be programmed so that they know which drug to expose to specific molecules. This means that nanobots work well in combination therapy—where multiple drugs are used at once—and can be timed so that the different drugs don’t interfere with one another. As of December 2014, the nanobots that Bechelet’s team have developed can recognize 12 different types of cancerous cells. Currently, the team is also working on instilling their nanobots with “swarm behaviour” and have figured out how to get the bots to build physical bridges with each other. This would allow them to fix tissue from one end to the other, guiding the regrowth of cells across a larger area, which could be helpful in repairing spinal cords or long sections of muscle. So, like any good scientist would ask—what’s the catch? Well there are the usual issues that arise with any sort of disruptive technology. It’s entirely possible that nanobots will be too expensive for the average patient, further widening the health gap between the rich and the poor. Nanobots could potentially be used in new forms of biological warfare. And there’s the classic “grey goo” paranoia, wherein the nanobots gain sentience, learn to self-replicate, and devour the environment—but even the original theorist, Eric Drexler, has dismissed this. In that case, when can we expect this miracle treatment to hit the public? The first DNA nanobot trial in a human subject will take place this year—in fact, it could be happening right now—on a person with late-stage leukemia. 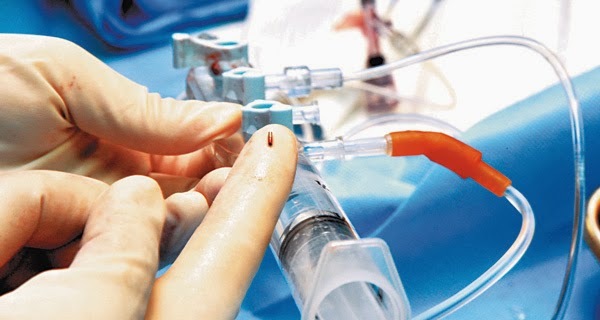 The patient is expected to die in the summer of 2015, but Bechelet believes that, based on previous animal trials, the nanobots can remove the cancer in the span of a month. If the trial goes well, we could see nanotechnology hit the public in one-to-five years.